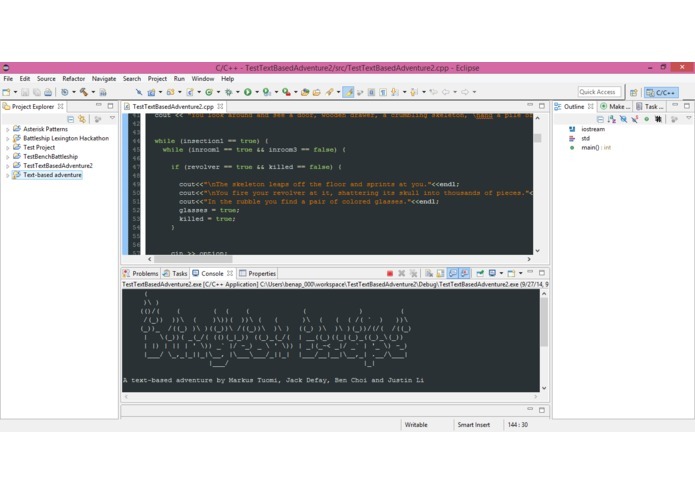 A text-based adventure with an ASCII-art twist. The relatively simple, but charming spirit of text-based adventures and ASCII art inspired us. Our target user is anyone who likes adventure-puzzle games. We are most proud of our teamwork on this project because we overcame obstacles and challenges with our collective knowledge and brainstorming.